Because they are fairly thick so the spread out the pressure of your fingers better than thinner versions. (I like thinner versions for applying finishing waxes and sealants because then I'm not pushing hard so don't need the thickness). Use an "ample" amount of product, don't under-use and don't overuse to the point that you hyper-lubricate the surface but use enough to keep the surface lubricated throughout the process. I would use a teaspoon to a tablespoon of product, usually a tablespoon's amount to start with because your pad is dry when you start and some of the product is going to go into the pad, and after breaking in your pad then cut down to about a teaspoon's amount of product. Before going over an entire panel or an entire car, first do a "Test Spot" and make sure you're getting the results you want and hope for. If you can't make one small area look good with your choice of product, pad and "your technique" then you'll be glad you only worked on a small section to start with or to test and not went over the entire panel or car. 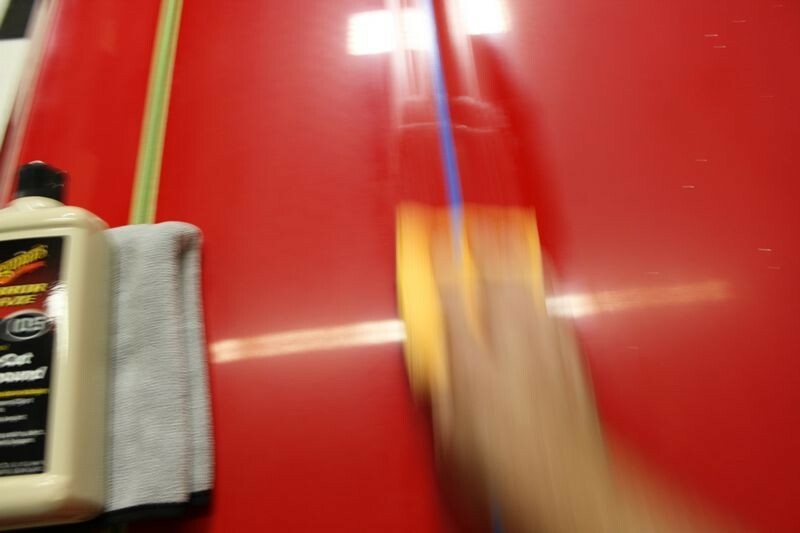 When working on clear coats by hand to actually "remove" defects, technique is just as important as your choice of product and pad, (pad = application material). So do a Test Spot first. Also, read the manufactures directions and follow them as the above is just a general guideline. The manufacture always knows their products best. 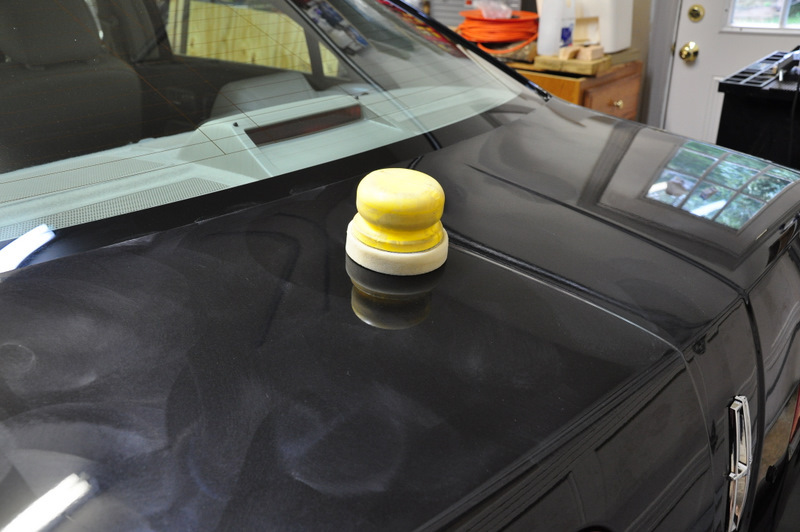 Just wondering, but how does these CCS Red Wax/Sealant Applicator Pads compare to the Meguair's Applicator Pad as in the ones that come in the Meguiars Mirror Glaze #26 Hi-Tech Paste Car Wax in terms or ease of usage and also cut-level? I like the Polishing Pal and a 4-in foam pad. 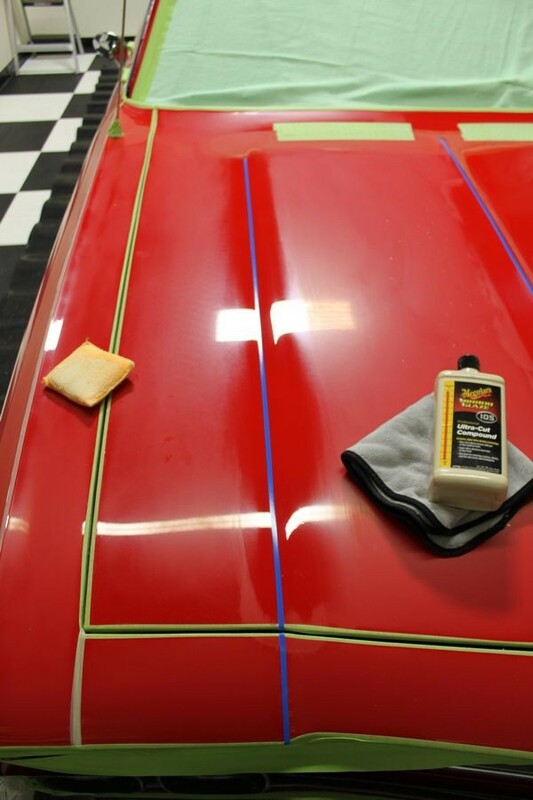 Just wondering, but how does these CCS Red Wax/Sealant Applicator Pads compare to the Meguiar's Applicator Pad as in the ones that come in the Meguiars Mirror Glaze #26 Hi-Tech Paste Car Wax in terms or ease of usage and also cut-level? The primary difference is how much thicker the red CCS pads are compared to the Meguiar's pads. I think I pointed out this extra thickness helps to spread out the pressure from your fingers and that IS the benefit. As for cut and ease of use, both are the same in ease of use and "cut" doesn't really apply as they are both very soft and gentle to the paint. The cut will come from you and the passion you put behind the pad and your choice of product. Also you don't have to use the CCS side, you can use the flat side. Thanks for the education, Mike, it certainly gives me some more confidence in trying to rid the spot on my own. I guess my greatest fear is that by applying too much pressure, I would change the reflective characteristics or cause a "dimpling" in the finish of the treated spot such that it would easily stand out from the rest of the hood. Furthermore, even though I am handy and careful, but have never done work like this, do you think it is still a DIY project that won't make things worse? Thanks for the education, Mike, it certainly gives me some more confidence in trying to rid the spot on my own. I guess my greatest fear is that by applying too much pressure, I would change the reflective characteristics or cause a "dimpling" in the finish of the treated spot such that it would easily stand out from the rest of the hood. I think it would be hard to do this on a clearcoated finish but maybe on a single stage metallic finish if you rubbed too much in one area. Furthermore, even though I am handy and careful, but have never done work like this, do you think it is still a DIY project that won't make things worse? I think working on paint by hand requires more skill, experience muscle and technique than most people possess. I think it's a LOT easier to do anything to a clearcoated finish by machine than by hand. And the person that would say the above was also a person struggling toe remove swirls and scratches. Then when they see a simple dual action polisher used to do the same job without any real skill, muscle, talent, experience etc. they would always want to buy the polisher and heck with working by hand. God bless whoever bumped this thread, I do a lot of work by hand to complete my machine polishing process, and this method reassures and give new ideas to what I'm already doing. It's important to be skilled in both hand polishing and machine polishing to be able to tackle anything that pulls into your garage. Wash, Clay, Machine polish and then hand apply sealant and or wax by hand? Hand Applied Wash, Polish and Wax Products?